Which Water Purifier to Buy for Home? Your Question Answered. “Which water purifier to buy for home?” If you are looking for the answer of this question then I must say you are at the right place, because here I am going to share some tips with you which will help you to make the right decision. So which water purifier would be good for you is really depends upon what kind of water you are currently using at your home? And what kind of contaminants does it have? First of all you must know if you have high TDS water or low TDS water. Usually bore well water or water from the well is high TDS water. You can know if you have high TDS water or not at your home by simply performing a simple test using TDS metre which you can find at very cheap price at Amazon. 1 So how to perform that taste and what to look for in the results of the test? 2 What if I don’t have high TDS water? 3 What if I don’t have any kind of microbial contaminants in the water? 4 Which water purifier should I buy if I am getting water from Municipal water supply? 5 Which water purifier should I buy if I am using bore well water or well water? So how to perform that taste and what to look for in the results of the test? To perform the test you just need a TDS metre. Once you have it, then take a glass of water insert the TDS metre in it and see how much TDS level does it shows on the TDS metre. TDS upto 500 mg / is considered as acceptable according to Bureau of Indian Standards (BIS). 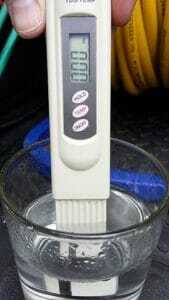 If the TDS exceeds 500 mg / l then it is considered as high TDS water and such water is not good for health. For the treatment of high TDS water you will require RO water purifier. What if I don’t have high TDS water? If you do not have high TDS water then you you will not require a RO water purifier. Once you know that if you have high TDS water or not then you should perform the second test. The second test is basically to know if the water you are using have any kind of microbial contaminants like harmful bacteria,viruses and protozoa. You cannot perform this test at your house you have to take the water sample at your nearest laboratory. If the water you are using have any kind of microbial contaminant then for the purification of such water you should go for UV water purifier. UV water purifier consists of UV bulb. It uses UV rays to inactivate harmful bacteria, viruses and protozoa from the water, making the water 100% microbe free. What if I don’t have any kind of microbial contaminants in the water? If you don’t have any kind of microbial contaminants in the water then you will not require UV water purification. After that you will have to perform the 3rd test which is quite simple and you can perform at at your home. 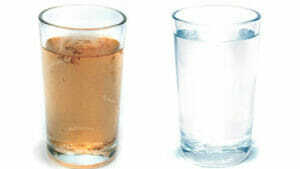 To perform the test just take water in a glass. If the water is muddy then you will require an UF water purifier. UF water purifier is consists of sediment filter and activated carbon filter which removes visible impurities like Sand and Dust from the water making it clean and clear. If you are really concerned about your and your family’s health, then even if you don’t have high TDS water or you don’t find any microbial contaminants in the water or you don’t find any kind of physical impurities in the water it’s a good idea to have a water purifier because such contaminants can be easily get introduced in the water and it can cause very severe health problems. Usually there are two main sources of water. Water from Borewell or well water. 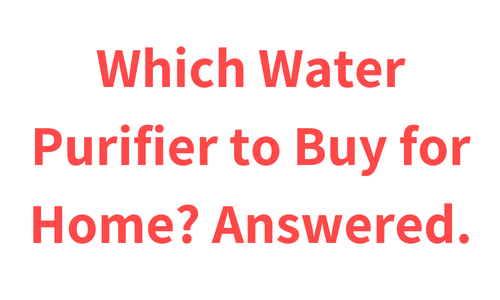 Which water purifier should I buy if I am getting water from Municipal water supply? Municipality does not usually have enough purification system for the complete purification of high TDS water. And consumption of such high TDS water can cause severe health problems like kidney stone, skin diseases and it can also cause chronic effects like cancer, liver or kidney problems, or reproductive difficulties etc. So for the purification of such high TDS Water RO water purification is required. Water can easily get contaminated with harmful bacteria and viruses during the transportation of water from Municipal water supply to your home or while it is stored in the overhead tank. So for the purification of such water UV purification is required. Also water can easily get contaminated due to visible impurities likessad, mud and dust if there is any leakage in the water supply pipeline or during rainy season. So for the purification of such water UF purification is required. So to be 100% sure that you are drinking safe and pure water RO + UV + UF water purifier are recommended. Which water purifier should I buy if I am using bore well water or well water? Bore well water or well water are usually high TDS water so it will require a RO water purification. The bore well water or well water can easily get contaminated due to harmful bacteria, viruses and protozoa so for the purification of such water UV purification is required. Also bore well water or well water usually gets muddy during rainy season, so for the purification of such water UF purification is required. So the complete purification of well water or borewell water RO + UV + UF water purifier is recommended. Which water purifier to buy for home? I hope you have got answer for this question. Let me know if you have any doubts in the comments section below.